It’s assumed that ancient wizards are only a myth and that there aren’t any in the real world, however the existence and achievements of many of these wizards are indisputable, which leaves you wondering whether magic might actually be real. Many of these wizards are also scientists, and scholars, who made great contributions to science. In the past wizards were either highly respected and sought after, or hunted down and burned. Draper was a 16th century wizard, and inn keeper who was arrest for sorcery and thrown into the tower of London where he would be executed for his crimes. He claimed that that he was only interested in magic, and had burnt al of his alchemy books. Unfortunately they didn’t believe him and locked him up anyway. Draper bided his time in prison but he wasn’t going to be stuck there for long. 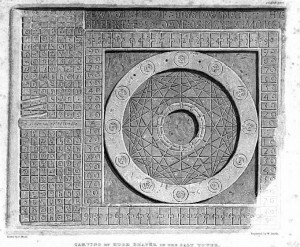 He carved a strange astrological marking into the wall, with the date May 30th written on it. Later he suddenly disappeared, he didn’t escape, he didn’t die, he was just gone. The day he disappeared was May 30th. “The blood of the just will be demanded of London, burnt by fire in the year ’66. The ancient Lady will fall from her high place, and many of the same sect will be killed.” This is one of Nostradamus’s many predictions, many claim this accurately predicts the great fire of London, since it happened in 1666. 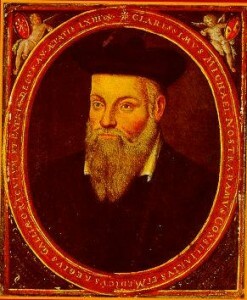 Nostradamus also predicted the rise of Hitler, Napoleon, and the Atomic bomb. Nostradamus is probably the most famous oracle in the western world right now. Nobody knows how he made these predictions, although we know he was involved in Jewish Black Magic, and astrology. Grigori Rapsutin was a famous healing wizard, who used his sorcery to treat the Tsar and his wife, many times. Even when Rapsutin was young people knew he was different, “His limbs jerked, he shuffled his feet and always kept his hands occupied. 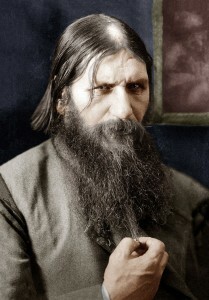 Despite physical tics, he commanded attention.” As Rasputin grew up he became a famous holy man, with a unique take on religious texts that intrigued people. Rasputin was eventually introduced to the Tsar, and his wife. The Tsar’s son was suffering from an illness that doctors deemed incurable. The Tsar asked Rasputin to heal his son, and even though the doctors said he would surely die that day, he showed great signs of recovery and eventually got over his illness. The existence of this sorcerer is almost certain. 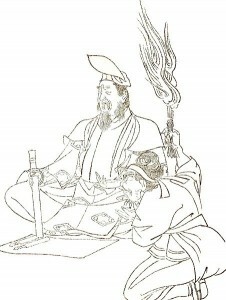 He lived an incredibly long life, and served six different generations of emperors as a mystic. Abe was the offspring of a human and a fox spirit, which is where he gained his spiritual powers. Death was common at an early age in the 10th century yet Abe lived to 84 and never succumbed to illness, this and his ability to predict the future are two of the main reasons he is believed to have magic powers. His celestial observation allowed him to predict the abdication of Emperor Kazan which gained him credibility, other than predictions Abe would also ward off evil spirits, perform exorcism, and advise the emperor on how deal with issues in the spiritually correct way. 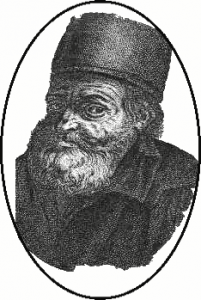 You probably know Flamel as the alchemist who created the philosophers stone from from the harry potter series, however he wasn’t actually just a fictional character, Nicolas Flamel really existed. 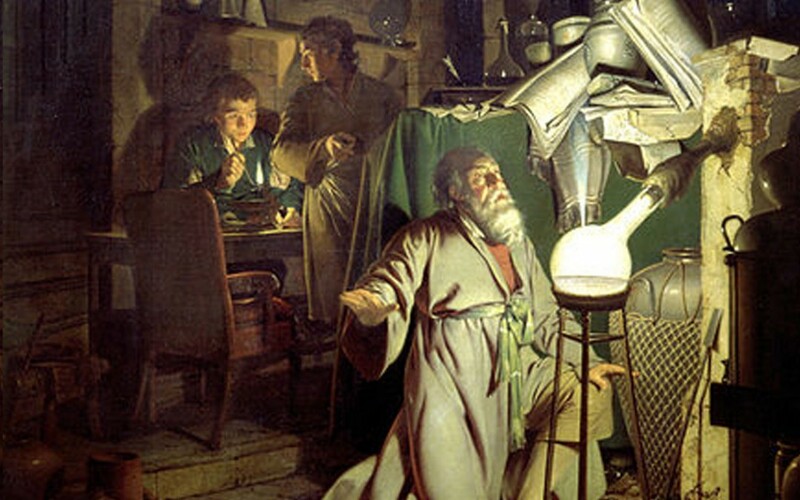 He was made famous in the 17th century for being the alchemist to succeed, in creating the philosophers stone, and the elixir of life. The philosophers stone has the ability to turn anything into gold, and the elixir of life turns anyone who drinks it into an immortal. Flamel worked in a book shop where he learnt to read and write, eventually a man came and sold a mysterious book to Flamel, which he had seen in his dreams the night before. A mysterious language he couldn’t understand is all he found inside the book, but after taking it to a sage, he and his wife eventually managed to decipher it, and inside he found the secret to the Philosophers Stone and the Elixir of Life. After finding this book people noted that Flamel mysteriously became very rich very quickly. 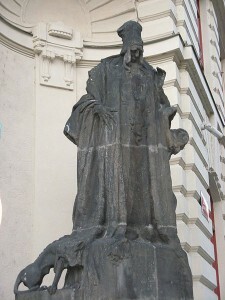 Also known as the Maharal of Prague, was an old Jewish mystic, and philosopher. He supposedly created a clay Golem to protect his community from anti-semetic attack, and blood Libel. Blood Libel was an accusation that Jewish communities captured children and used their blood in rituals. The Golem would patrol the streets, and guard the community, it even had the ability to raise the dead. It’s said that the Golem went on a rampage and started attacking the community itself, the rabbi stopped it from changing the characters drawn on it’s head to one of death. Michael Scot was a famous magician, and scholar of the thirteenth century. He was the popes tutor, and astrologer to the Holy Roman Empire. Scot had many achievements that left him remembered as a great wizard, he cured the emperor of any illnesses, correctly predicted the outcome of the war with the Lombard League, he changed the course of the river Tweed, turned sand into rope, and turned the Eildon Hills of Scotland into three separate clothes. Although some say that there is no proof he did any of this, and that the main reason he was believed to be a wizard is because he dressed in an Arab gown. 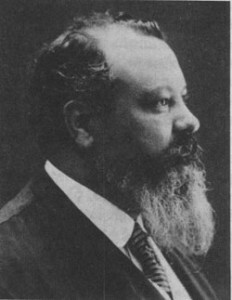 Papus was his wizard name, his real name was Gerard Encausse. Papus started his own occultist group, the Kabbalistic Order of the Rose-Croix. He was also a member of the Hermetic Brotherhood of Light, and the Hermetic Order of the Golden Dawn. Papus spent a lot of time in Russia, and served under Tsar Nicholas II, and his wife Tsarina Alexandra. 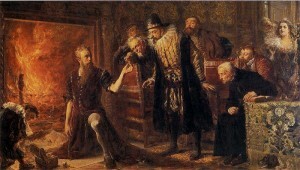 Papus summoned the ghost of Alexander III, the Tsar’s father, who warned them of a revolution that would be his downfall. Papus told them he could hold off the revolution as long as he lived which he did, in fact the revolution happened soon after Papus died Before he died he warned the Tsar not to let Rasputin influence them too much, and clearly didn’t trust the other wizard. 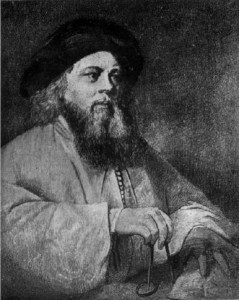 Falk was a Kabbalist, alchemist, and a doctor. He narrowly escaped being burnt at the stake by the Westphalia authorities, after accusations of wizardry. Luckily he was protected by a count who gave hims shelter. In return he displayed magic to the count and his friends. Falk would regularly use his magical powers which gained him the title Baal Shem of London, Falk moved objects with is mind, saved a synagogue from a fire by writing a few incantations on it, and could teleport objects. Falk could enchant objects and gave a magical ring to the Duke of Orleans that would make sure that the successor to the throne would be one of his family members. The ring was handed down to the Dukes son who went on to become King Louis Philippe. 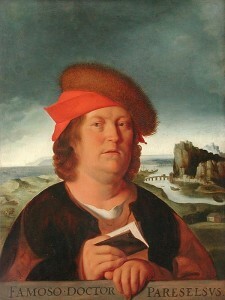 Paracelsus was a sorcerer and a physician, he is famous not only for his occultism but also for naming zinc, being the first to realise that some diseases are rooted in psychological conditions, and revolutionarily tried to utilize observations of nature instead of ancient texts. He always used alchemy when treating his patients, and believed that humans could only be healthy when they were in harmony with nature. He developed a magical alphabet called the “Alphabet of the Magi”, the alphabet has the ability to call upon spirits to help in the process of healing patients.